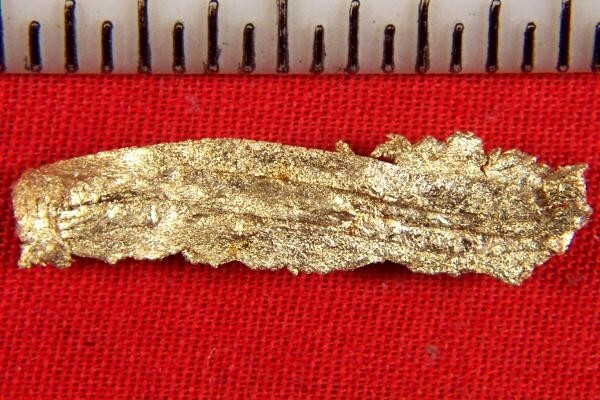 Ribbon Gold Nugget from Round Mtn. - - It's Free! Home :: Gold Nugget Gallery :: Ribbon Gold Nugget from Round Mtn. Ribbon Gold Nugget from Round Mtn. 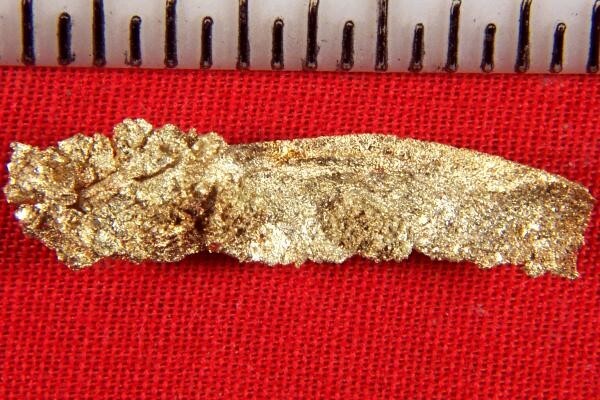 At 1" long this very rare Crystalline Ribbon Gold Nugget from the Round Mountain Mine in Nevada is a real beauty. Check out the photo and you can see that this gold nugget specimen has incredible crystalline formations. The weight is 1.15 Grams (17.8 Grains). Ribbon Gold is so rare that I have only seen a few pieces of it in all my years of collecting gold nuggets.